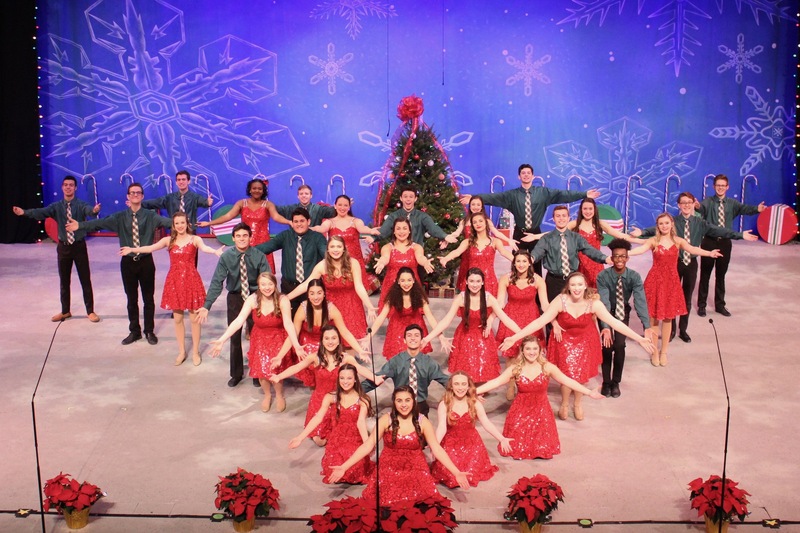 The Upper Darby Summer Stage Shooting Stars present a Holiday Spectacular! The Upper Darby Summer Stage Shooting Stars will present their annual Holiday Spectacular on December 7 at 7:30 p.m. and December 8 at 2:00 p.m. Audiences will experience an exciting musical showcase of song and dance performed to favorite holiday tunes. Performances take place at the Upper Darby Performing Arts Center, 601 N. Lansdowne Ave in Drexel Hill. The Shooting Stars’ Holiday Spectacular features some of the most talented young artists in the region performing energetic renditions of holiday favorites. Toe-tapping songs include “Rockin’ Around the Christmas Tree,” “Jingle Bell Rock,” “Do You Hear What I Hear?,” “Carol of the Bells,” “Run-Run Rudolph,” “What Will Santa Claus Say?” “Frosty the Snowman,” a medley of songs from the hit Broadway musical “Elf,” and many more! Recently featured on TV performing in the 6ABC Thanksgiving Day parade, the over 30 Shooting Stars members from Upper Darby Summer Stageare ambassadors of the program all year long. Selected by audition, the members rehearse several hours every week and participate for the pure joy of performing. In addition to performances at Walt Disney World, Longwood Gardens, “Hairspray Live” at the Kimmel Center, and at Delaware County’s Rose Tree Park Summer Festival, the Shooting Stars take their shows on the road to entertain the elderly throughout the Delaware Valley.